Home interior design by Decorilla designer, Gwendolyn G.
Pick three to five colors that will be the most prominent in your home. 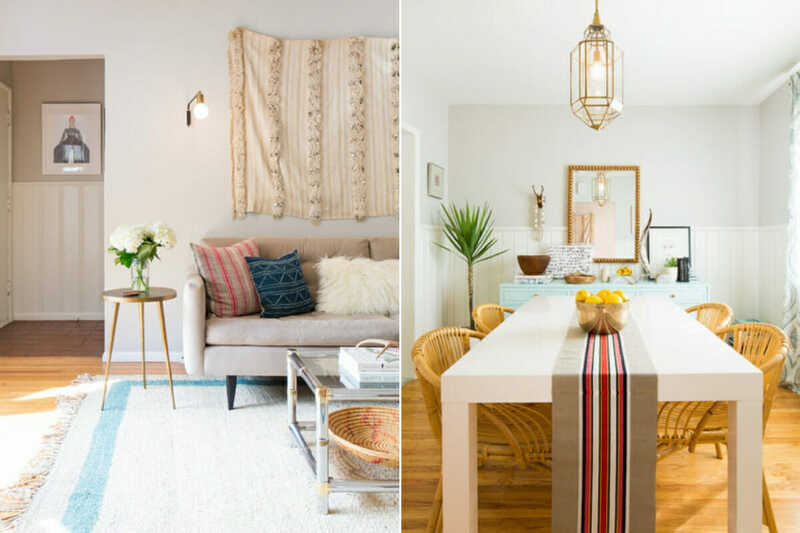 If you’re unsure, pick a tone based on the feeling you want for your home interior design. Alternatively, use your clothes as a guide as we tend to buy clothes in shades that suit our personalities. A monochromatic scheme is limited to one color, including its lighter tones and darker shades. 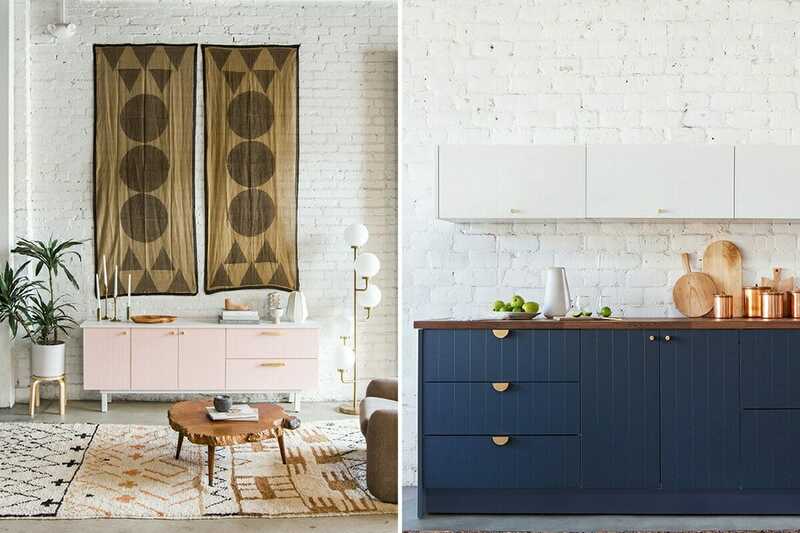 This palette is well suited to Scandinavian home interiors. An analogous scheme refers to colors that are next to each other on the color wheel. Green, cyan, and blue are analogous colors. A complementary scheme refers to colors that are opposite each other on the color. 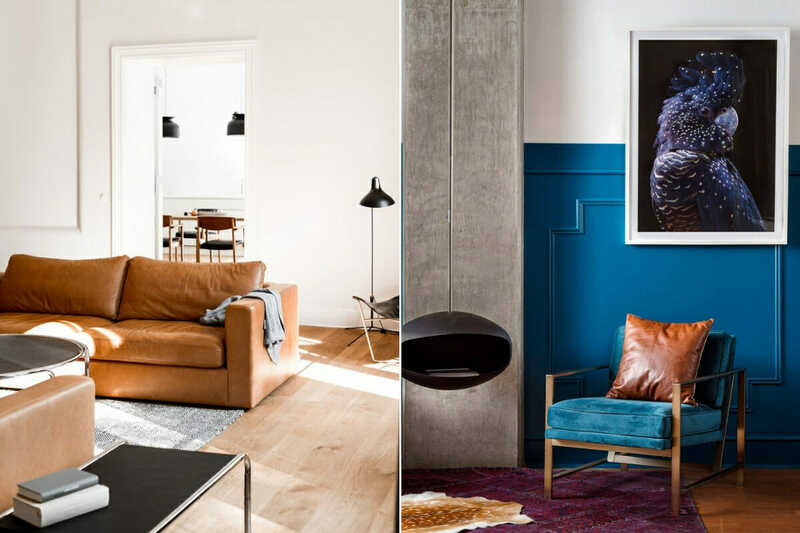 Blue and orange, and green and red are opposites and perfect for bold eclectic or contemporary home interiors. Home interiors by Decorilla designers, Scott T & Sonja C.
Decorating doesn’t have to cost a fortune. However, inexpensive impulse buys often lead to clutter and wear quickly. Instead, save up for something that will last decades as opposed to something that will fray within a year or two. Set up a budget and saving plan then you can spend on grounding pieces like a sofa, dining table, chairs or console. Living room design by Decorilla interior designer, Angela S.
Try different layouts. Sometimes, all a home needs is a little furniture shuffle. Consider taking a Feng Shui approach, particularly in distinctly individual spaces like the study, bedroom, and bathroom. 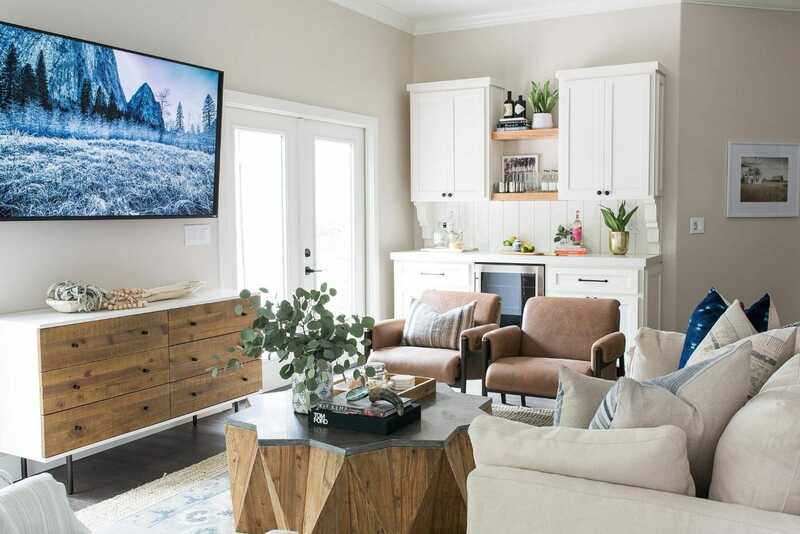 Start by planning your home interior’s layout then adjust until you’re happy. Show off your artwork by making sure you hang them at the correct height. Ideally, your primary piece of art, or horizontal centerline of a gallery wall, should be eye-level, which is around 57” from the floor. Measure from the fitting or cord on the back of the art piece and not the top of the frame. 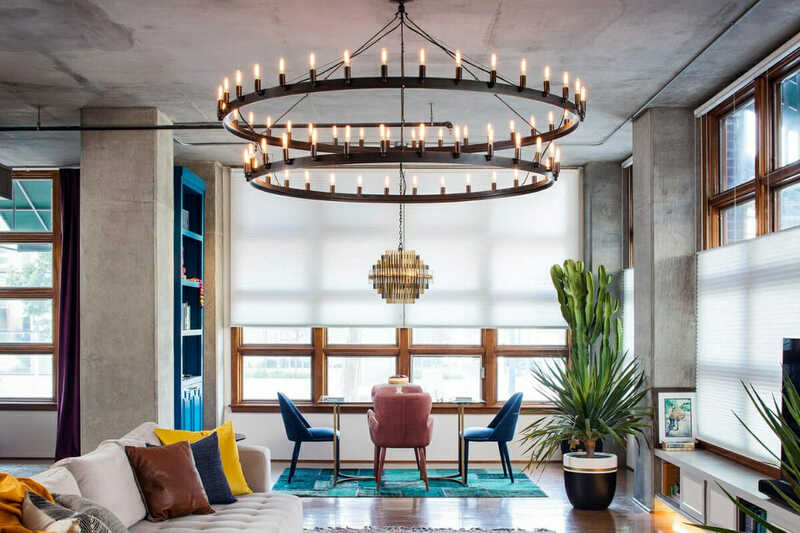 The right lightbulb can make color pop or create a relaxing atmosphere, while the wrong bulb can turn a home interior design into a stark and unwelcoming space. Interior designers favor Light-Emitting Diode (LED) lightbulbs because they are cost- and power efficient, but most importantly they have an unrivaled color quality. Bedroom design by Decorilla interior designer, Michelle B. 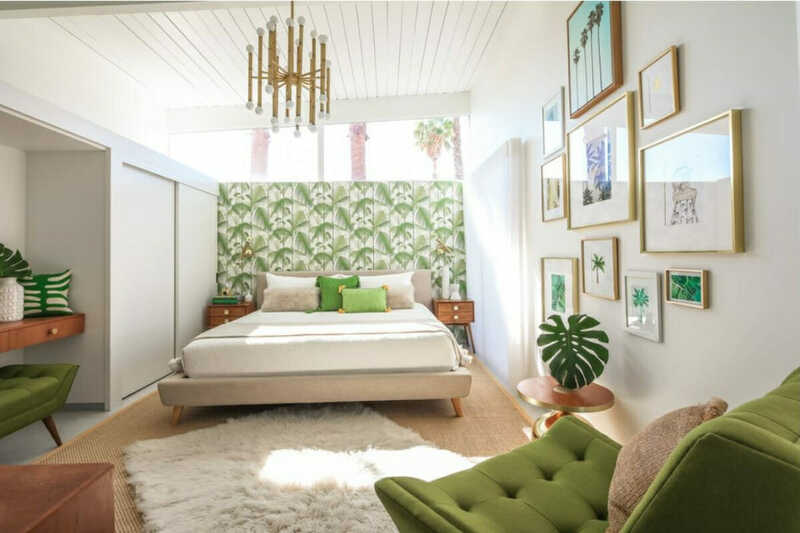 Add fresh greenery into your home interior design when you want a quick, effortless and budget-friendly home refresh. 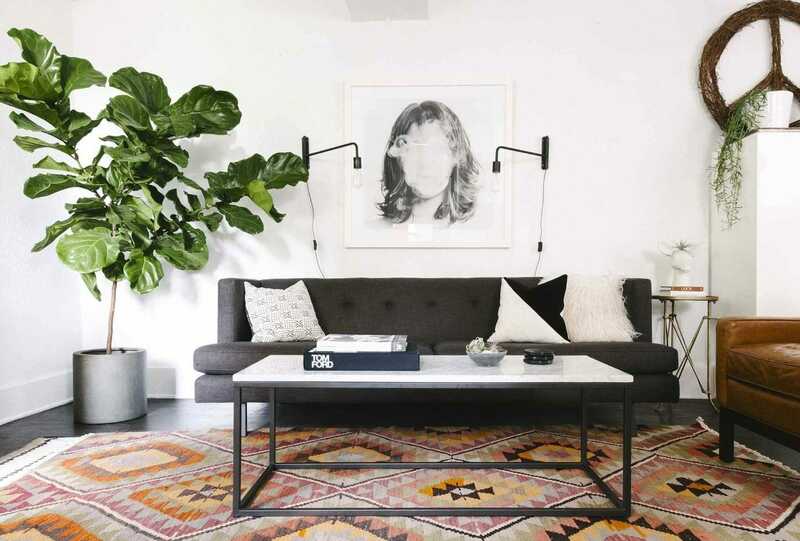 Choose evergreen plants like peace lilies and fiddle leaf figs that are air-purifying and low maintenance. Make the most of this design trick and add a beautifully decorated planter pot. Make a room feel bigger than it is, by using a vertical illusion. Vertical stripes from wallpaper, floor-to-ceiling bookshelves or curtains will make the ceiling feel higher up than it is. Floor-to-ceiling drapes can also make a room feel uber luxurious. 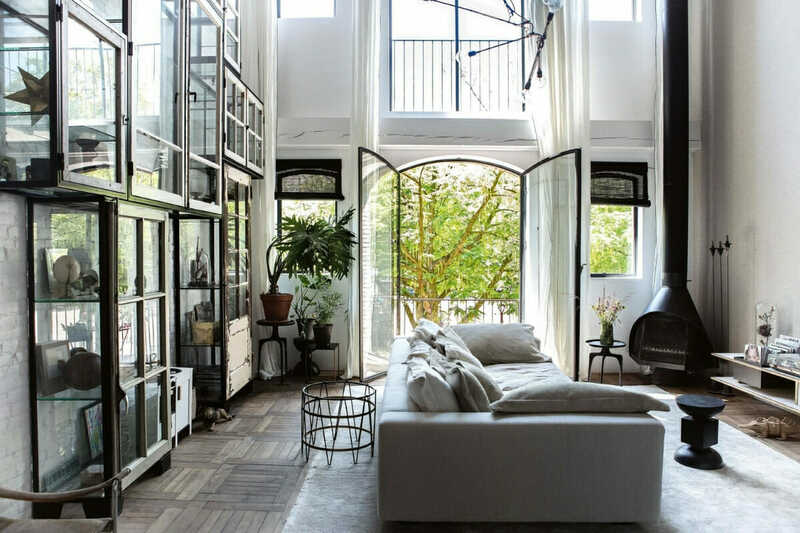 Keep tall decor within a reasonable proportion to the space. For instance, use a narrow shelving unit in a bathroom to avoid creating a crowded feeling. Juxtaposed surfaces add intrigue into an interior. Rough and exposed brick in a refined setting with velvet couches and silk tapestries will shock and amaze its audience. Engage your senses with the surprise of texture. Luckily, you can try this decor tip on all the surfaces in your home: walls, floor, ceiling, furniture, and decor. 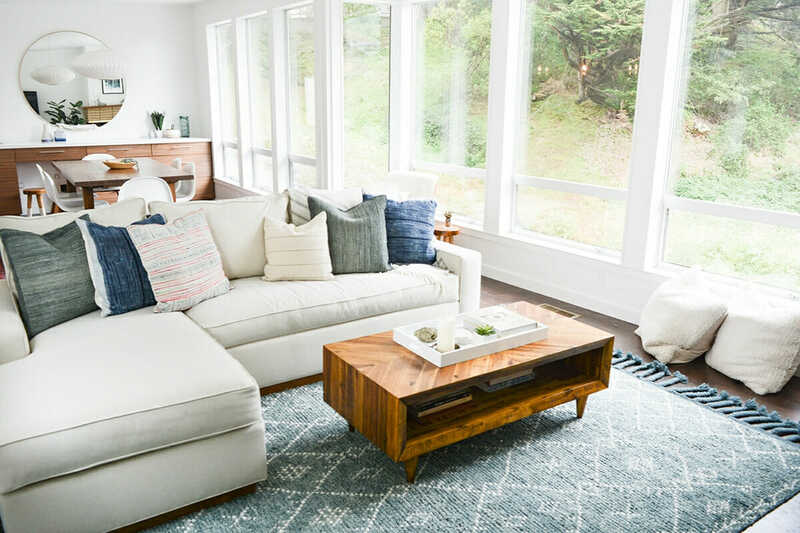 Start experimenting with textiles like scatters, rugs and throws and move on to furniture pieces and then even your home’s structure! 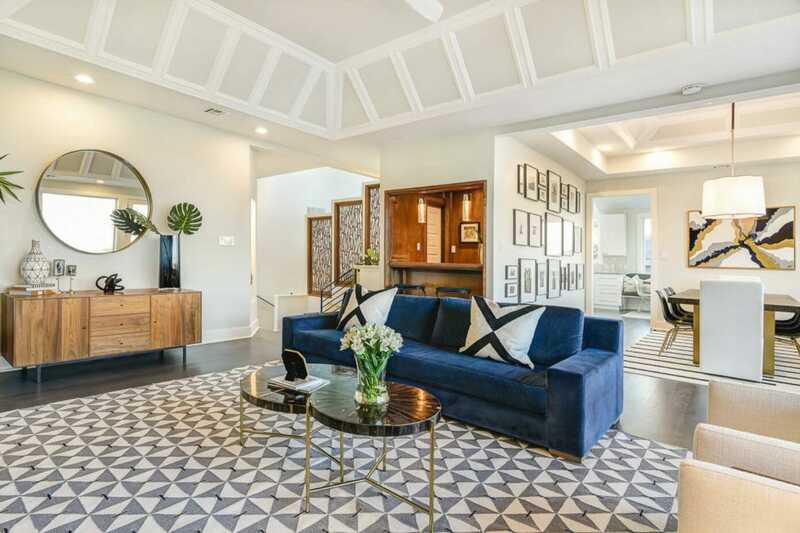 Ready to start typing “interior designer near me”? 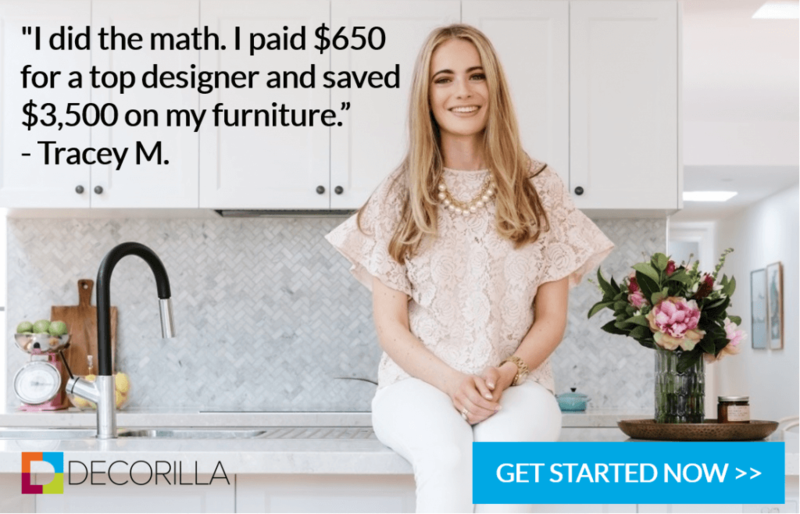 Schedule a free consultation with one of Decorilla’s online interior designers instead and get started today!